Electrical cables, for many years, were the only option for connecting measurement devices with their companion control and monitoring gear. While wired connections are still in widespread use, probably still the predominant connection method, wireless communication technology offers a range of advantages in connecting process measurement instruments and their controls. Bandwidth, in wireless communication and modem data transmission terminology, is the analog range of the radio spectrum’s frequencies, or wavelengths, used to transmit a signal between transmitter and receiver. Jurisdictional agencies throughout the world regulate the use of bandwidth and assign ranges for use by public and private organizations. Before there can be an appreciation of radio transmissions, there first must be an understanding on the transmission medium. 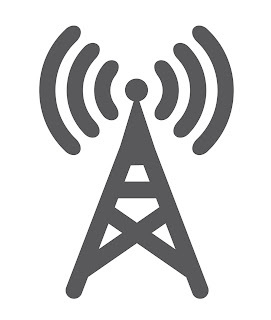 Radio transmissions run on the UHF radio spectrum, or the Ultra high frequency spectrum, named by the International Telecommunication Union; the spectrum runs from 300 megahertz (MHz) to 3 gigahertz (GHz). There are two prominent frequencies utilized for industrial wireless communications in the US: 900 MHz and 2.4 GHz. Within the allocated bandwidth, there are numerous individual channels that can be used for applications. Each of the available bandwidths has its own transmission characteristics which may make it advantageous for a particular application. Amateur radio stations operate in the 900 MHz range because attenuation of the transmission signal is less than at higher frequencies. Higher frequencies have greater theoretical transmission range, but can be impaired by smaller sized objects in the transmission path because of their shorter wavelength. Due to a number of practical application factors, 2.4 GHz technology is predominate in consumer and many industrial applications; one of the main reasons is the sheer amount of concurrent signals in the designated bandwidth. The 2.4 GHz band can accommodate more concurrent users or devices. Both frequency ranges have useful application in automation and process control, enabling effective connections between devices over distances from several feet to thousands of miles.